In which our hosts both slam and/or jam, and discuss Dragon Quest, Windows 10's ad-supported games, the artist formerly known as Hulk Hogan, and the Space Jam website, a true relic from the bygone year of 1996. Hey hey hey! We're back, and this week we're joined by Sean of the GeekastX Podcast to discuss all things San Diego Comic-Con! We talk about Batman v Superman, Suicide Squad, Deadpool, Ash vs Evil Dead AND MORE! Welcome back! This week, our hosts discuss all the pre-San Diego Comic-Con 2015 news like the new Ecto-1, a gaggle of casting news, the Goosebumps movie, LEGO Dimensions AND MORE! Hey everyone! We're back, and we have a special interview to boot! 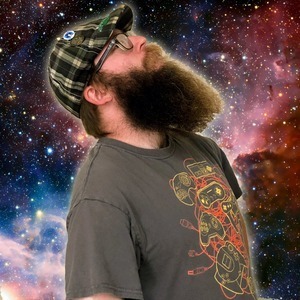 This week, we talk with Chris Bidwell, the Nintendo World Championship contestant from Columbus, OH, as well as discuss the possible Nintendo/Disney partnership, the SDCC Colonel Sanders Comic, bad television AND MORE! Hey everyone! This week, Cody and Samantha are on vacation (except when they aren't, but more on that later), so Sam, Josh, and special guest Josh Kirtley discuss Spider-Man, Marvel Comics news, the Fantastic Four Denny's menu, Jake Lloyd's return to "pod racing," new LEGOs AND MORE! On this week's show, our hosts dig into the Uwe Boll meltdown, live-action Akira, Punisher coming to Daredevil, Powerpuff Girls recasting, Mega Man Legacy, Hyrule Warriors 3DS, marital problems for both Han Solo and the Simpsons, a dinosaur quiz AND MORE! HELLO INTERNET! This week, our hosts discuss LEGO Dimensions, Fallout 4, the Aquaman film, the Big Trouble in Little China remake, a myriad of DC Comics news, the Nintendo World Championships AND MORE! Episode 51 - Wilson or McConaughey? 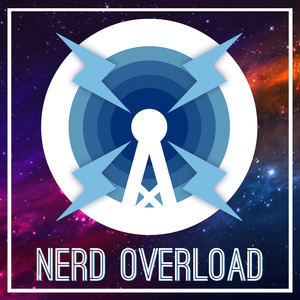 This week, the whole Nerd Overload crew discuss the return of Lando Calrissian, the upcoming Supergirl TV series on CBS, the pitfalls of Kickstarter, and discover that one of our hosts can't differentiate between Owen Wilson and Matthew McConaughey. 50 EPISODES!! CAN YOU BELIEVE IT?! This week, our intrepid hosts discuss the new Muppets show, TV renewals/cancellations, Koji Igarashi's Bloodstained AND MORE!